Horses Healing Hearts - More Than Rescue | Horses Healing Hearts, Inc. I know some time has passed since we last spoke of the very special 3 year old Thoroughbred mare named Tahoe Treasure of El Sobrante. I hope you are ready for an amazing story. It is because of you and your reporting that you helped get a few horses out of a terrible situation and for one horse in particular (Tahoe) to me at Horses Healing Hearts Rescue and Rehab in Danville. I have attached a deck of slides so that you could see what Horses Healing Hearts is all about along with Tahoe’s adoption story. I would like to mention Tahoe was adopted by Michelle Wenell (CEO) of Opportunity Acres a ranch and animal boarding facility that is maintained by adults with autism. The facility is self sufficient and offers organic produce. Opportunity Acres is a full service horse boarding facility, day program for adults with autism and non public high school students with autism. Shayna is Tahoe’s rider and fantastic Eventer. Shayna (not autistic) works for Michelle and trains with some of the best Eventing trainers around and is a boarder of Opportunity Acres. Nobody could believe Tahoe was only three years old. It was only two weeks earlier Tahoe had a severe impaction that required 65 IV liters to help pass a near fatal blockage. The bill for that 5 day stay at Dr. Linda Harrison’s clinic would have been $2800.00 but Willow Oak Veterinary gave our rescue a break at $1500.00 and donated the rest of her life saving care. Tahoe is a fighter her foster parent Leslie Ang and Ben Samrick of Woodland,as well as, my staff never gave up on Tahoe. Thanks to Leanne Ruesink my director of operations who helped get a reduced vet bill. In the end Tahoe had an adoption fee of $1500.00 and in the end Horses Healing Hearts received a donation of $3500.00 from Opportunity Acres. 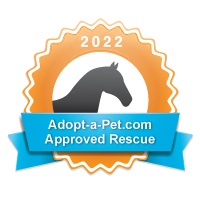 This helped cover her vet bills and training while getting her ready for her next adventure in Shingle Springs with Shayna. Everyone here at Horses Healing Hearts thanks Michelle Wenell, BCBA (Board Certified Behavior Analyst) for running such a magnificent program please see her website. I hope to hear from you soon Rita.